Proper food handling and storage of dry dog food is of the utmost importance to avoid mold and bacterial contamination and oxidation of the food. However, I know from experience that most people go home and unknowingly compromise the quality and viability of their dog’s food by not properly handling and storing it. I know you don’t want this to be you, so I am sharing my top tips on how to safely store and handle dry pet food. What is Oxidation and why do you need to know about it? Oxidation is a chemical process that occurs when food is exposed to oxygen. This process begins pretty much the moment you open your pet food bag, and continues until the food is consumed. Over time, oxygen will breakdown the nutrients and fats in the food and ultimately turn those fats rancid. Once fats become rancid and are ingested, they can release free radicals in the body. Free radicals have been linked to a myriad of negative health problems and disease – including cancer. Antioxidants/preservatives can slow down oxidation, but food will eventually succumb to the oxidation process. There are lots of reasons why using a container is bad for food viability and safety! Firstly, most people don’t wash their containers between bags. Instead, they pour new kibble on top of the old tainting the new food. Even if you ensure the container is empty upon reusing it, rancid fats accumulate on the sides of the container which will also contaminate the new food. Secondly, opening a bag of kibble and pouring it into a container exposes all those food pieces to oxygen. 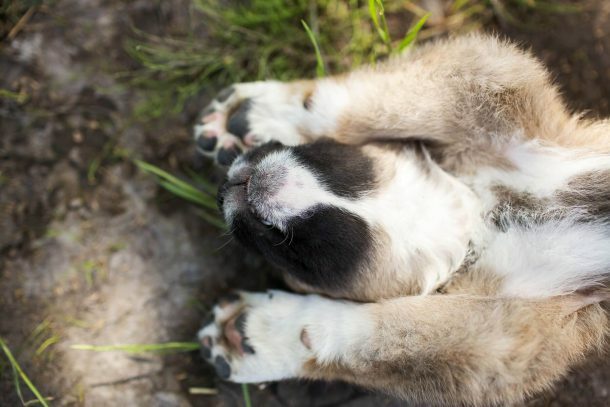 Additionally, plastic is not an effective barrier to keep out oxygen, meaning your pet’s food will oxidize faster. If you must use a container, leave the food in the bag and set inside. Read on to learn more. About a month after opening the bag, the nutritional value of your dog’s food will have declined quite significantly. This means the nutrient profile on the bag is no longer as promised. This is not the fault of the pet food company, it’s simply the biology of food! So ideally, you should purchase no more than a month’s worth of food at a time (6 weeks maximum!). I am sure you’re saying, “Yes but if I buy less food at a time, it’s going to cost me more money!” I ain’t gonna lie, that’s probably true. Smaller bags do not give you the same bang for your buck as the larger ones. 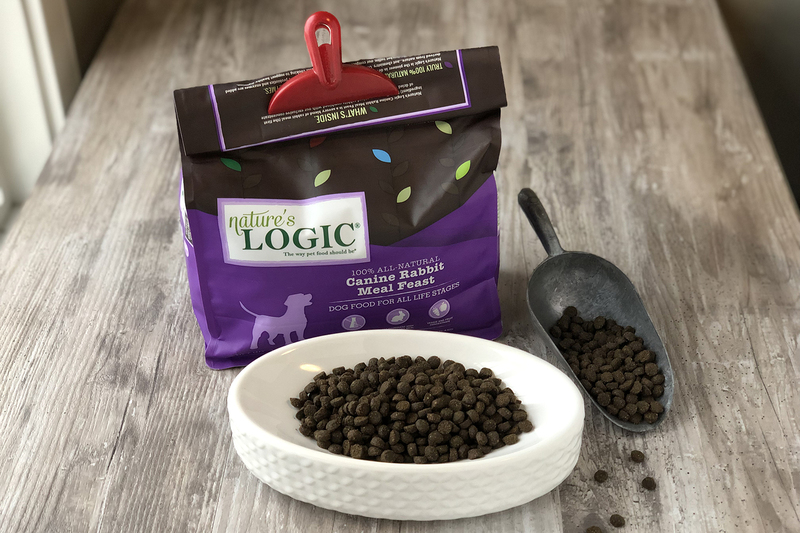 If smaller bags are not an option financially, you’re going to want to take extra special care in how you store your dog’s food to slow the oxidation process as much as possible. SIDENOTE: It’s actually recommended that you use poultry based diets up within two weeks of opening, and ruminant diets within three weeks! I know for most this is unrealistic, but hopefully this helps you understand that 30 days is actually a stretch! Pet food companies, even the “less ethical” ones, spend a lot of time and money on developing bags that will keep your pet’s food preserved for as long as possible. 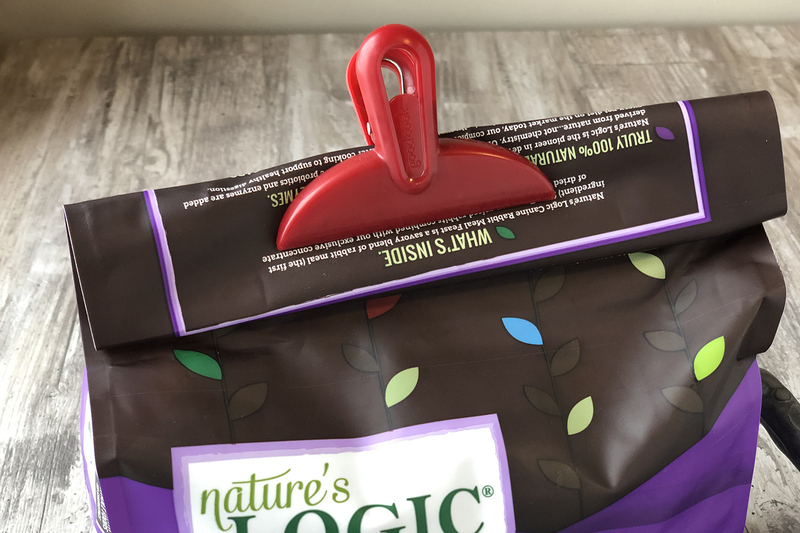 Pet food bags are very effective at keeping out food’s mortal enemies: oxygen; moisture and light, and sometimes the cost of the bag and the research and tech behind it is worth more than the food inside! It’s important for a company’s reputation and bottom line to have food keep as long as possible to reduce waste. Another important reason for keeping the food bag is that each bag has a lot number on it. 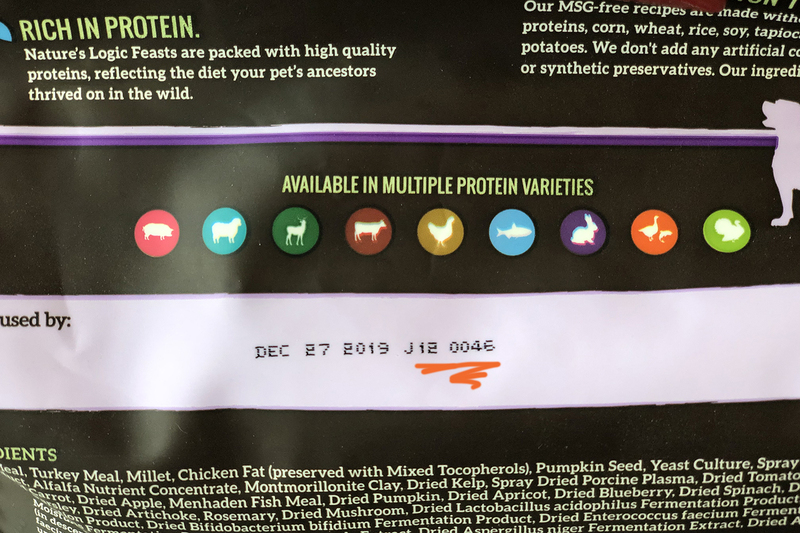 The lot number is what pet food companies use to track food batches and ingredients. This number is what you’ll need should your food ever be recalled. Additionally, the pet food store cannot take the food back for a refund unless it’s in it’s original packaging. You need the bag! Once you’ve taken a portion of your dog’s food out of the bag, squeeze as much oxygen out of the bag as you can, roll the top down (or if your bag has a zip closure, use that) and clip the bag securely shut. Do not open the bag more often then you have to! HOT TIP! I purchased a set of food clips at a looney (dollar) store for just a few bucks! WHERE you store your pet’s food is almost as important as HOW you store it. You’ll want to keep kibble in a cool, dark, dry place with less than 15% humidity. You’ll also want to take care that where you keep your food is not an area that experiences fluctuations in temperature. Temperature changes can lead to condensation and mold. A pantry often works well if the temperature in your kitchen remains relatively constant. In order to try and help my customers save money, in the past I would recommend that they buy larger volumes and freeze their kibbles to extend their shelf life. The problem with this is that when the kibble thaws, moisture has now accumulated on the food. Needless to say, now that I know better I no longer recommend freezing kibble to my clients. Don’t purchase more than 30 days worth of food at a time. Keep your pet’s food in its original bag. Be sure to store food in a cool, dark place with less than 15% humidity. Keep food out of areas with fluctuating temperatures as this can lead to condensation and mold. Do not freeze your kibble as it can add moisture to the food upon thawing. 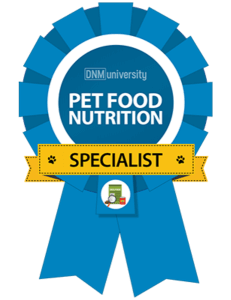 Most people don’t realize the importance of properly handling and storing dry dog food. I hope I have shed a little light on the subject (not the kibble) for you today! Feel free to ask questions in the comments below!